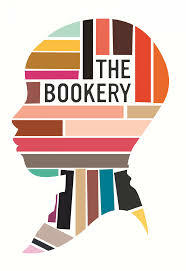 The Bookery, an NGO that creates and supports fully functional school libraries in South Africa, has grown abundantly since its establishment in March 2010. The aim is to fix the shortage of school libraries by accepting book donations from the public and entities. The Bookery has created 40 fully functional libraries containing a minimum of three books per learner in the Western Cape alone and is currently busy with more. The Bookery is set to open a new library at Heatherdale Primary School in Athlone, Cape Town. In line with our mission of “bringing the school library to life”, the opening of this library is the first step towards the creation of a sustained and collaborative effort with government and other NGOs in a creating a scalable model that will address the dismissal levels of literacy and numeracy in many of our country’s public schools.. The Bookery, an NGO that creates and supports fully functional school libraries in South Africa, is set to open a library at Heatherdale Primary School on Monday, March 16, 2015 at 2pm. Amongst the attendees will be the MEC of the Western Cape Education Department Debbie Schafer, UK Aid representative Susie Mossatt, guest speaker Fadeelah Davids and some the University of the Western Cape Library Science and Information professors. The activities planned for the day include a performance from the school choir lead by Music Educator Mr Bourne and a poetry recital and book reading by the learners. Heatherdale Primary situated in Athlone was established about 90 years ago and the current principal Ms Theresa Le Grange has been holding the fort for 12 years. They have seen a need for better internal reading and writing facilities at the kids’ disposal. School Library Assistant at Heatherdale Mr Sean Geldenhuys, says he “expects the school library to promote children reading for leisure and to create more educational possibilities in the community”.